“Rahul’s visit is just to gain political mileage. He should have tendered an apology for Operation Blue Star of 1984,” Shiromani Akali Dal (SAD) leader and Union Minister Harsimrat Kaur Badal said in Bathinda. The Indian Army had carried out Operation Blue Star in June 1984 to flush out militants hiding in the Golden Temple complex. Badal held the Congress responsible for the “attack” on the Sikh shrine, also known as Harmandir Sahib. 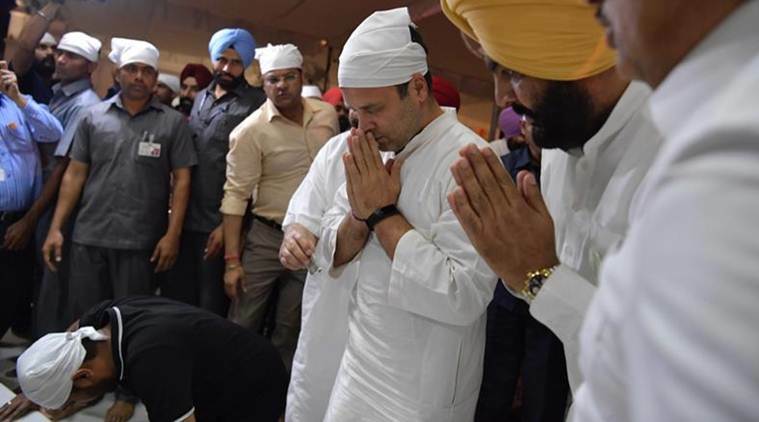 “Punjab Chief Minister Amarinder Singh should have asked Rahul to tender an apology for the attack on Harmandir Sahib in 1984,” she said.